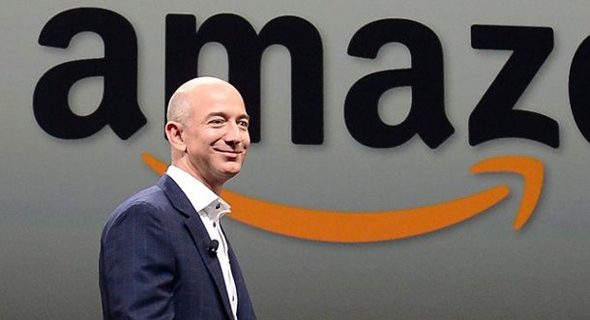 Bank Poalim and Bank Leumi, Israel's two largest banks, are holding talks with Amazon regarding potential collaborations, according to people familiar with the matter who spoke with Calcalist on condition of anonymity. Leumi is also holding similar talks with eBay, these people said. In November 2017, Calcalist reported that Amazon is preparing to set up a local retail outpost in Israel. The company has been in contact with local delivery companies throughout 2018. Other options being discussed is leveraging Amazon's cloud services and the banks' data to create a financial platform that will let users compare the prices of various financial services, and issuing credit cards in partnership with Amazon. "The competition is no longer between banks, but between banks and Amazon and Google,” Pinto said in a December Calcalist conference. While they are a threat, tech companies are also eager to partner up with banks, he added.